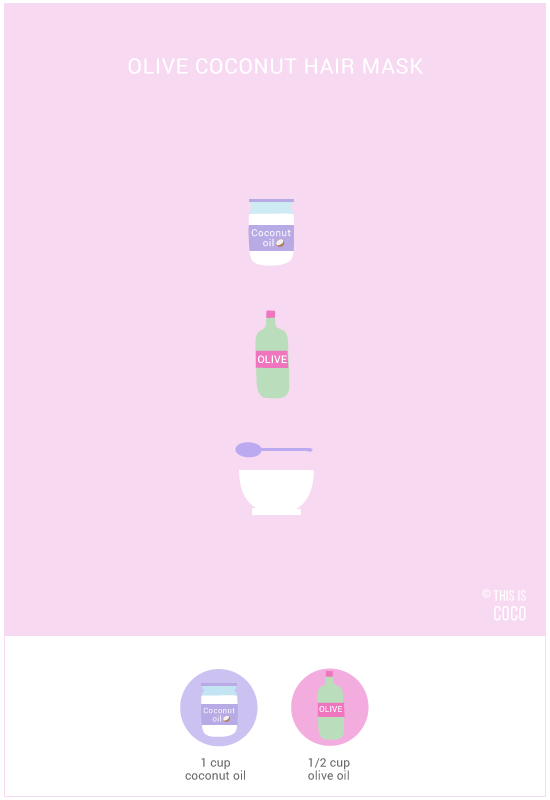 If your hair is in need of some extra care, try this DIY olive oil coconut oil hair mask. extra virgin olive oil and virgin coconut oil. Coconut oil is a very nourishing, protecting oil that is great for most hair types including damaged hair. It is rich in MCT’s (Medium Chain Triglycerides fatty acids) and antioxidants which your hair loves. MCT’s have a small molecular structure which is why coconut oil manages to penetrate deeper into the hair than other oils. Coconut oil doesn’t just make it look good from the outside, but it truly works from the inside out. → Helps restore protein loss. → Helps retain moisture on the inside of the hair shaft. → Strengthens the hair fibre from the inside out. → Helps reduce hair loss and stimulates new hair growth. which can lead to dandruff. → Gives your hair volume and healthy shine. → Protects from damage caused by dryers, irons and rollers, as well as climate influences. → Gives body to curls. Olive oil has been used for hair care throughout history for nourishment, softness, shine and protection. It is a rich source of emollients such as oleic acid, palmitic acid and squalene, which soften hair. Use room temperature coconut oil in a soft, creamy consistency. This will help with easy application. Mix 1 cup of coconut oil in a bowl with 1/2 cup extra virgin olive oil. This amount is enough for 2 applications for long hair. Use less if your hair is shorter. Apply a little bit of the hair mask to clean, dry hair, gently massaging the mask in. Start from your scalp, working your way to the roots. Make sure to use a hair cap or towel to avoid dripping. Leave your DIY olive oil coconut oil hair mask on for 30 minutes or longer if your hair is damaged. You can also leave it on overnight, just make sure to protect your bed linen because oil can leave stains. Rinse well afterwards and wash everything out with a good natural shampoo. 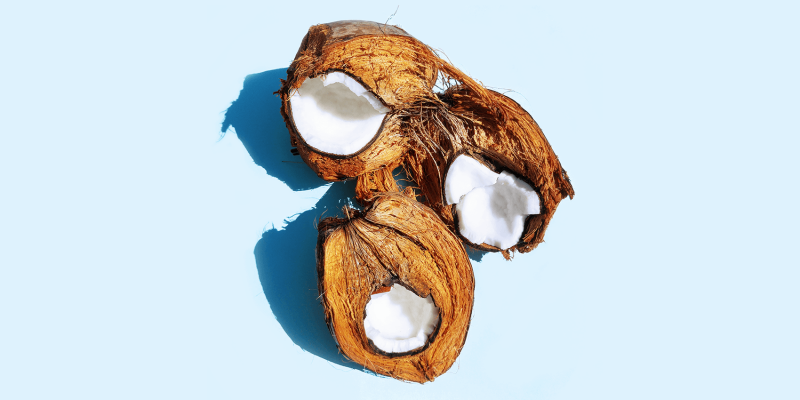 Discover more coconut oil uses for hair, skin, nails & oral health in this article.